I absolutely adore posting about beautiful weddings and it's led to me falling in love with the wedding industry in general! If you are new to my blog, every Wednesday I post a wedding related feature to support the work of The Wedding Wishing Well Foundation charity. I have posted the photographs from some of my friends and a blogger's wedding, to inspire you to donate £1 to help other couples have a wonderful day. Other couples where one of them is either terminally ill or has a life limiting disease. The charity desperately need your donations as they are receiving unprecedented numbers of applications. This week I spent a day with Kirsten aka The Little Wedding Helper and Emilie the talented florist Daisy Lane Floral Designs. We were actually working together on a Christmas Photo Shoot at a beautiful hotel, Berwick Lodge in Bristol, rather than a wedding, but it was such a pleasure to talk weddings and styling whilst we listened to festive music! Emilie and I are fast becoming good friends (sometimes you meet someone and can almost hear that 'click' out loud) after I whizzed up to her studio at The Clevedon Craft Centre a couple of weeks ago. 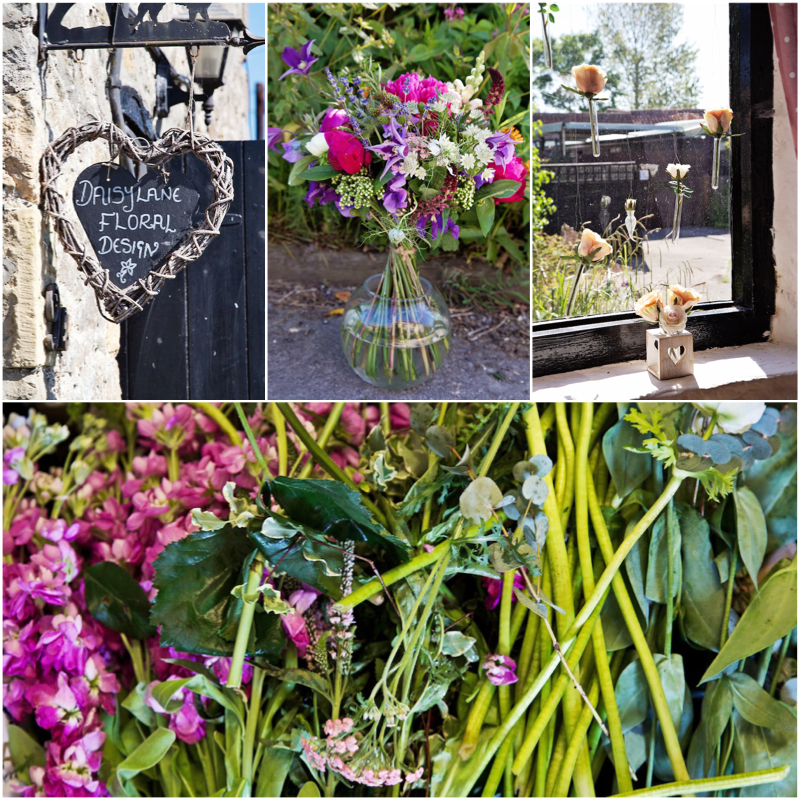 I thought it would be interesting to read about a wedding florist as part of my Wonderful Wedding Wednesday series, to give you a glimpse into a day in the life of a florist. Emilie's signature style is romantic, pretty and effortless. She makes a formal arrangement look natural and there was so many varieties of blooms in her bouquets I needed an hour to take it all in! Inspired by the countryside, she can create something stunning from a box of blooms (I saw her in action at the photo shoot and couldn't believe what she could present under pressure). Her attention to detail is what impressed me the most. The way the button holes were put together, the little touches that had personal meaning to her bride that day. Fortunately for me, her wedding was in a beautiful marquee, bursting with birdcages full of flowers, flower pots for the table plan and peonies wrapped around a wooden gazebo, in Weston super Mare, about 5 minutes from my home so I scooted down and took some photographs to share with you. 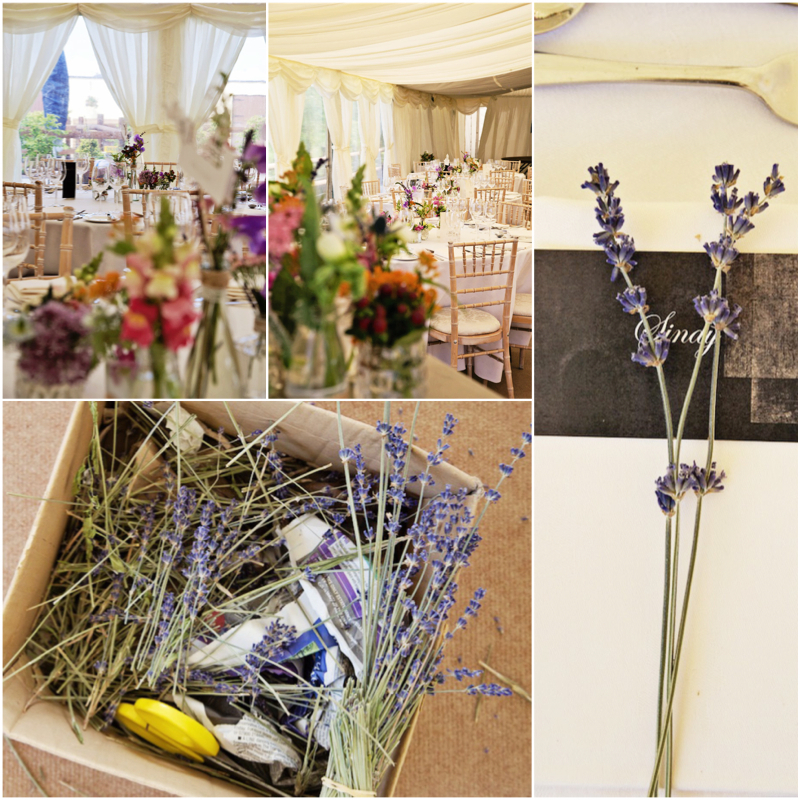 I even got to play wedding florist and assist in arranging the miniature bottles and placing the 3 sprigs of lavender on the place settings! It was so much fun! There were 9 per table and 10 tables - I can tell you when they were all in one area, ready to be placed on the tables, that was a lot of bottles! I loved being behind the scenes, watching all the last minute preparations come together. 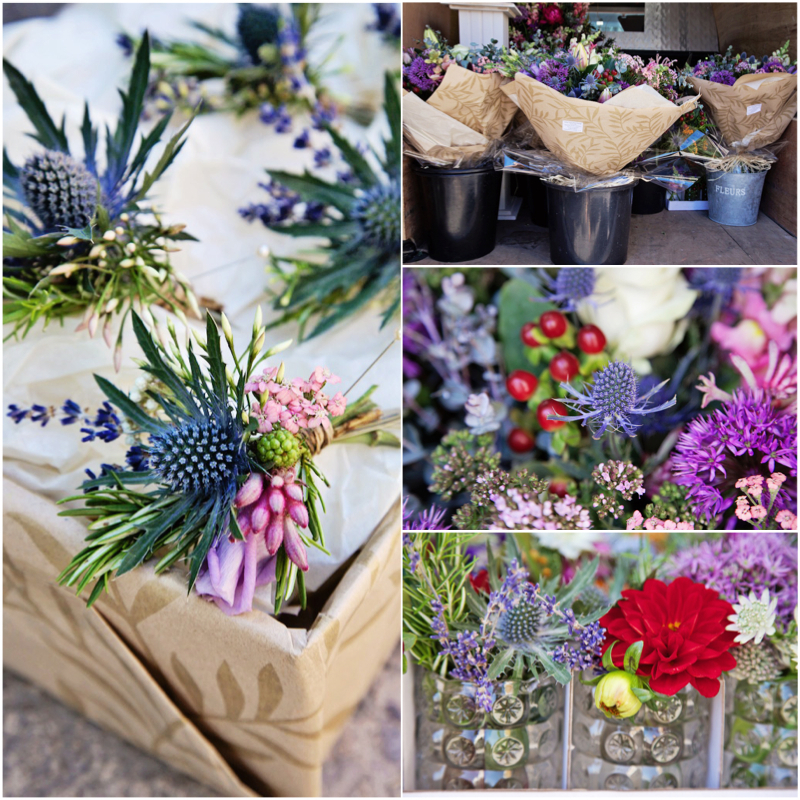 I you have ever fancied trying your hand at wedding floristry then Emilie is your girl. She offers workshops and classes at her picturesque studio, complete with cake and tea in vintage china! To keep up with Emilie you can follow her on Twitter and Facebook. 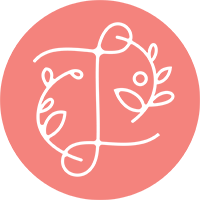 I have been thinking for a while that it would be great to share a little more about the charity itself and see for yourselves the work they do and one of their weddings. Watch this space. There is going to be an exciting new element to Wonderful Wedding Wednesday. Now do your good deed of the day and donate £1!